﻿ Natsuca Beach Resort, Ilocos Norte | FROM $17 - SAVE ON AGODA! "It was a fine place, very quiet." Have a question for Natsuca Beach Resort? "Staff were very hospitable, they really helped me make my birthday memorable!" "Owner - very friendly and accommodating." "Quite place and friendly staff." Well-placed in the beaches, sightseeing, culture area of Pagudpud city, Natsuca Beach Resort provides a most conducive spot for you to take a break from your busy days. 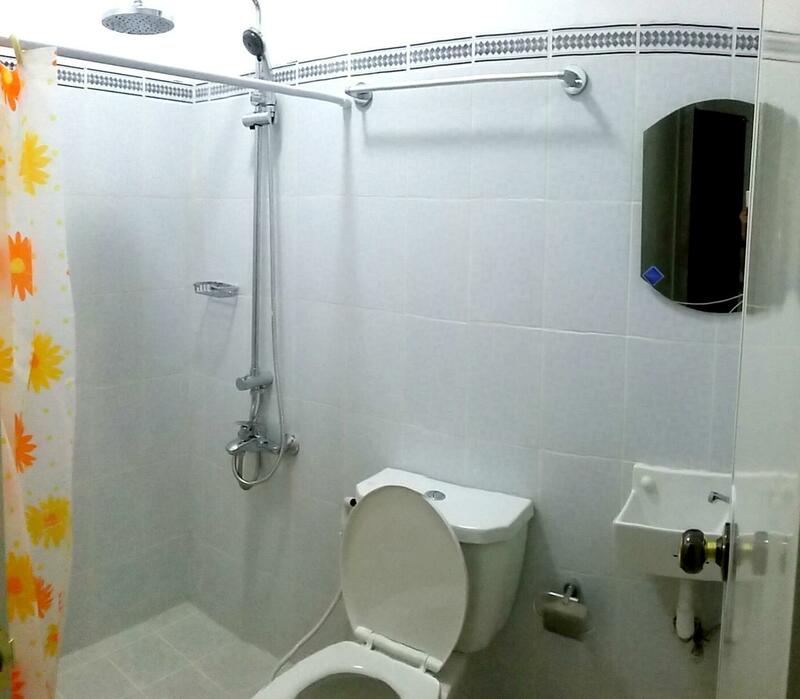 The hotel lies 7 km from the city center and provides accessibility to important town facilities. With its convenient location, the hotel offers easy access to the city's must-see destinations. At Natsuca Beach Resort, the excellent service and superior facilities make for an unforgettable stay. This hotel offers numerous on-site facilities to satisfy even the most discerning guest. 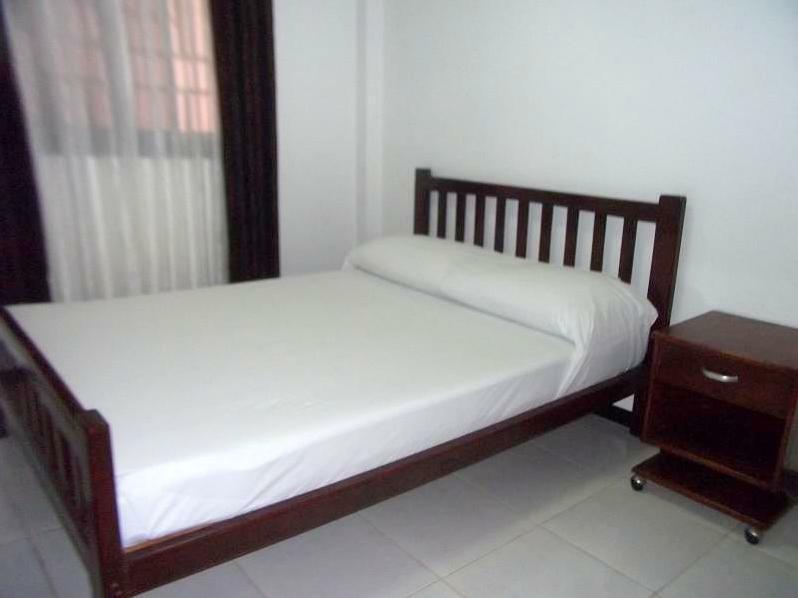 7 rooms spread over 2 floors provide a warm and pleasant home away from home. Modern comforts such as linens, locker, mirror, sofa, internet access – wireless (complimentary) can be found in selected rooms. Besides, the hotel's host of recreational offerings ensures you have plenty to do during your stay. With an ideal location and facilities to match, Natsuca Beach Resort hits the spot in many ways. "Remotely located away from the known beaches in Saud, this p..."
Far from pretty much anything else, the road to get there is pretty rough (being repaired/repaved as of 1/1/2019), and you better bring your own food or trek into town regularly (120-150 pesos trike ride one way). But the staff was wonderful, the place was quiet, and the beach was lovely. It was a nice place to chill for a couple of days. The 12-person suite is a great value. Plenty of beds, lots of space. They will let you cook in their kitchen outside(just wash what you use afterwards). It is a bit far from town. Tricycle I believe cost around 100 pesos to get to here/town. It is very nice and pretty quiet. The cottages looked nice but we did not use. I think the cottages with no AC would be fine as this is right off the water so it stayed pretty cool. The beach is not really for swimming and pretty rocky, but still a nice place to relax. Saud beach is not too far away, I think 80 peso tricycle ride from here, however you'll want to get the phone number of a tricycle driver in town as you may have trouble finding one otherwise. The owner was very nice, and gave us a ride to town in her car after we checked out -- without any charge! Would stay here again if we return to Pagudpud. It was hard to locate, we had to call them twice to ask for directions. But the place was awesome. The room was huge and clean, The beds were comfortable. The beach was not advisable for swimming though but the place was very relaxing. Staff were very hospitable, they really helped me make my birthday memorable! The nicer beach is one trike ride away from this place but worth a visit. The rooms are spacious enough and very clean. Make sure you have your own food, otherwise, advise them ahead so they can prepare especially if coming in groups. I prefer eating here than outside; nothing beats a nice home-cooked meal! Servings are very generous too for the price! Will definitely come back for a nice peaceful stay. 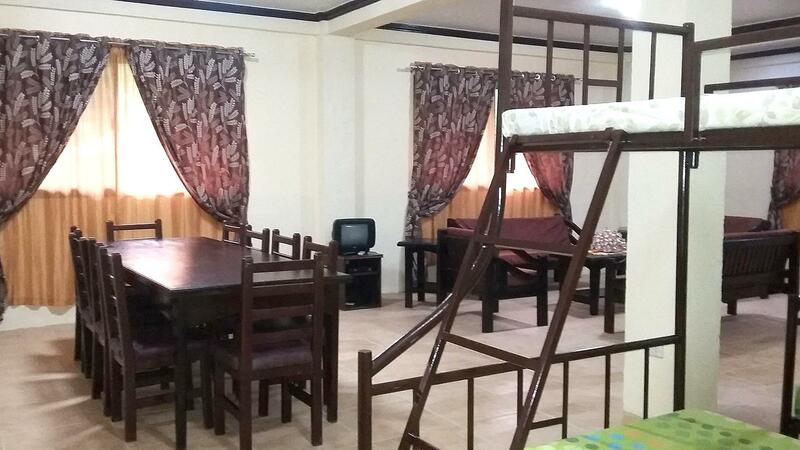 Remotely located away from the known beaches in Saud, this place offers comfortable reclusive accommodation. The beachfront isn't as pretty but you can have it all to yourself, with a few seats to relax, have a beer, or have morning breakfast at. 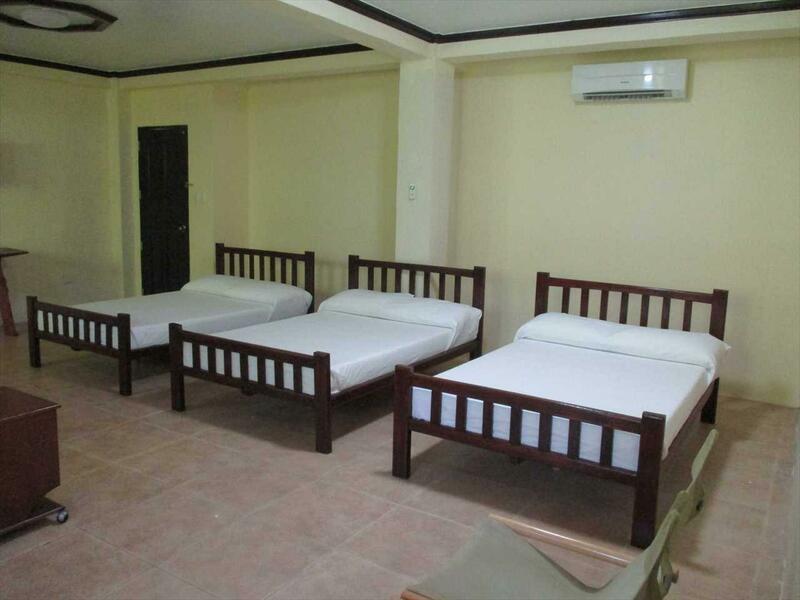 Group room is really spacious; beds are firm and the pillows are hotel-tier. Staff is friendly, helpful and can also arrange certain tours around the are in advance. The resort is a little piece of paradise for nature lovers who love a serene seaside place to relax, reflect, and write. The place is extra lovely because of the great staff who are more than willing to assist you with queries on tourist destinations around the region as well as some personal and food stuff. Although, if you wish to find a beach where small children can safely swim and play, go to other destination just around the resort because the beach is rocky and seaweeds float everywhere. Although location is far, the place is nice and good if you prefer quietness and isolation. The staff is great and very hospitable. Overall, place is recommendable especially if you have your own vehicle (not commuting). Quite place and friendly staff. It's the best place to unwind. After a long, tiring, but enjoyable long drive from Quezon CIty, Natsuca readily embraced us with its beautiful serenity. 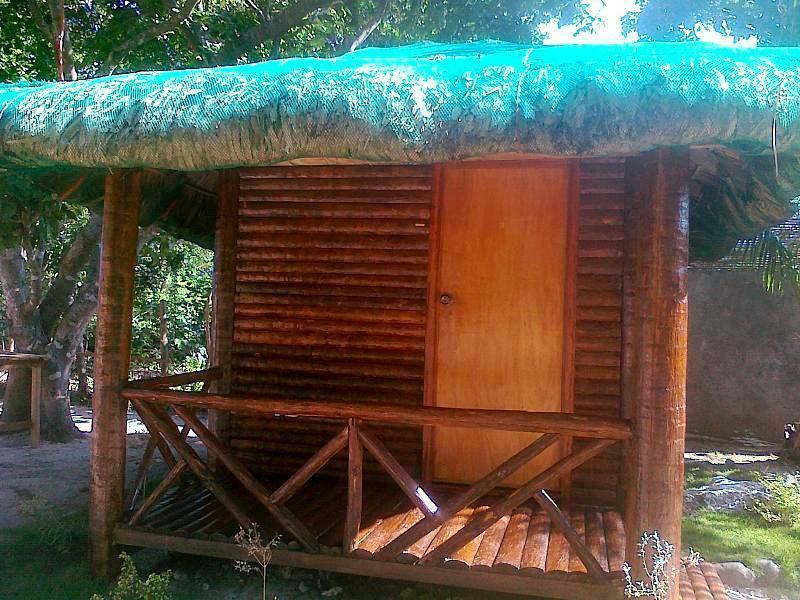 It has clean beachfront and surroundings, comfortable room, and yes, even hot water for showering. It doesn't have a restaurant but the lady staff (my bad, i could not remember her name) was kind enough to prepare a simple breakfast and lunch for us. It has a large dining area with condiments, utensils, hot and cold drinking water- at least the basics that you would need for an enjoyable decent meal. The beach area is definitely not for swimming but if you are longing for that quiet space where you can read, write, meditate or just be still staring at the ocean, then Natsuca is the place for you (just pray that the other guests were also after a quiet vacation, and not a day long partying by the beach) . If you want to swim or surf, you can just go to a nearby resort and then go back to the serenity of Natsuca to re-invigorate. We had a great stay! They don't serve food like usual hotel restaurant but they could cook for you... I recommend to drop by the market or grocery and buy raw meat & veggies for them to cook. It's affordable, the place is quiet and relaxing. I just hope they offer water activities too, like kayaking since the water is peaceful. The resort itself is very nice and away from the crowds which is good for relaxation with family. We stayed in their Family room which was very spacious and could easily fit 12 pax. Sally the owner is very welcoming and will go beyond to make your stay a very relaxing and worry free one. Emy and the other staff were very good and really helpful. Our family had a really great experience and would definitely recommend Natsuca Resort to anyone who is looking to just chill and relax and bond with family. The beach at this resort is not suitable for swimming as it is very rocky. However Sally the owner had brought us not too far away to a clean and nice beach called the Pebble beach which was good for swimming with kids and its almost as if it is our own private beach as we were the only ones there at that time. The other nearby public beach os called the Saud Beach its around 15 min drive from Natsuca Resort and its a must see beach good for swimming however very crowded as it is a public beach but it was worth it. During our stay it has rained for 2 days but that didnt stop us from having a very relaxing bonding with the family and Sally and Emy made sure that they really cater to our needs. They even let us cook our own food preference, we did our food marketing at the saud market its a short drive from the resort. When the rain stopped Sally jd lent her tent so we could do a bonfire by the beach which was really nice as we celebrated our cousins birthday. Overall a really great experience thanks to the hospitality of Sally and the other staff at Natsuca Reaort thats why I giving it a 5 star rating. Thanks Sally hope to see u guys again next time. The resort owner is very accommodating and friendly. If you are looking for quite place this is the best place to stay in Pagudpud. However it's quite far from Saud beach or the swimming area. Although front beach you'll enjoy the view but not ideal fro swimming as coral seaweeds is everywhere in the beach. If you ate commuter be ready to lay 80-100 pesos per ride. But if you'll do the swimming seldom then there will be no problem at all.